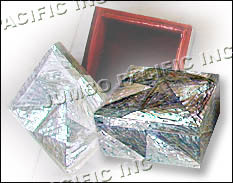 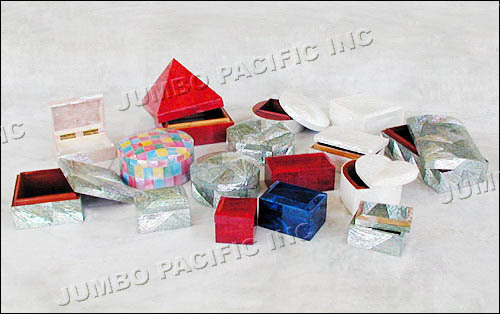 Green Abalon shell in cracking design square box. 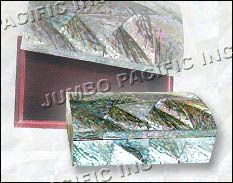 Green Abalon shell in cracking design. 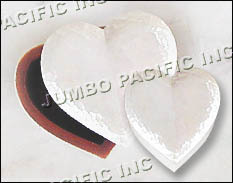 Covered with cracking Chamber Nautilus shell heart-shape box. 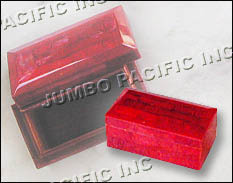 Red Coral(prohibited for export) rectangular box.